Have you heard of Rugs USA? Known as America's online rug superstore, this company has a huge selection of contemporary rugs, outdoor rugs, Flokati shags, and more! I don't know about you but I have had a really hard time finding the right rugs for my home. Our style is more modern/contemporary, so last year when I was shopping for a rug for my living room I was really frustrated when I all I could find were solid colored rugs, or rugs that were really traditional. I wish I had heard about Rugs USA then! A rug is an investment - why not save yourself the hassle and find one you love - at a price you can afford! They have a rug to fit any style, and any price range! Even better? Shipping at Rugs USA is always FREE no matter how large your order or where in the USA the item is shipped. They also have a price match guarantee if you find your rug cheaper somewhere else! 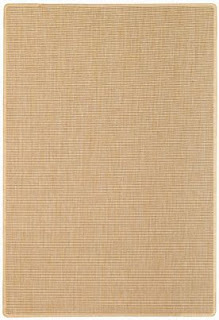 One lucky Frugal & Fabulous readers will win this Colonial Mills Oak Harbor Rug in "Laguna Beach" (as shown). It is a four foot round rug. A $139.99 value! About Colonial Mills rugs: From the traditional to the unexpected braided rugs are a welcome addition to any room in the house. From family room to kitchen, bedroom to bath, dining room to patio, braided texture rugs offer a dazzling array of color and design possibilities. Home decorators are discovering the versatility of these braided rugs which combine traditional craftsmanship with the latest trends in home fashion. Our braided rugs are the perfect way to add color, warmth, and texture to hardwood, ceramic tile, and many other hard surfaces found in today's homes. Woven with pride in the USA. You have until Thursday, December 10 @ 7pm EST to enter! (Winner must respond within 48 hours.) Giveaway open to U.S. residents only. The Trans Ocean Karela Ombre Burgundy rug is stunning!! Wouldn't want to walk on it, it's so pretty! I entered the ShapeWear giveaway! I love the 544 rug!! Wow, I love the Contemporary Wool Handmade Zebra Print with Faux Silk Highlights Brown Rug! I really love the Contemporary Wool Handmade Zebra Print rug! I'm a fan of RUGS USA on Facebook! I'm a fan of Frugal & Fab on Facebook! I like the Brink And Campman Luna 90505. I like the Capel Homecoming Braided rug. I like the Rugs USA Zebra Collection Hand Made Wool Zebra Print Brown Rug. I also entered the n-fini shapewear giveaway. I like the Safavieh Martha Stewart Grove Rug! I really like the Jade Bamboo rug! I like the Couristan Recife Summit Rug. It's an ourdoor rug, but I think it would be perfect in my entryway. I follow @rugsUSA and @lindsfrugfab on twitter. I'm a Facebook Fan of RugsUSA. I REALLY like the Momeni New Wave Collection Nw49 Multi Rug. I also like the Momeni New Wave Collection Nw49 Multi Rug. I entered the N-fini Shape giveaway. 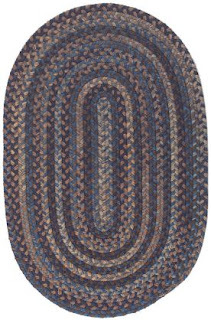 I love the Milliken Don Sawyer Coastal Collection Holy Cow Multi Rug! I entered your n-fini shape shapewear giveaway! I follow frugal and fabulous via google friend connect! Hi! I subscribe to your blog. Love all these rugs. I entered your N-Fini shape shapewear giveaway too! I like the Brink and Chapman Estella style of the rugs from Rugs USA. My favorite is the Oriental Weavers Sphinx Generations 1608D Rug. FB fan of your blog. Brenna Chavez. FB fan of Rugsusa. Brenna Chavez. also in the n-fini giveaway. My favorite rug is the Shaw Tommy Bahama Home Nylon Collection Monaco Palms Ocean Rug. I am following rugsusa and lindsfrugalfab on Twitter as "Smokeysmom"
I'm a Facebook Fan of Frugal and Fabulous! as Maggie Mannwieler. I love the white furry rug!!! I love the Contemporary Wool Handmade Zebra Print with Faux Silk Highlights Brown Rug! I like the Kas Oriental Legacy Collection Oasis Sage Rug. I entered the $50 Gift Certificate to N-fini Shapewear! I simply adore the Contemporary Wool Handmade Zebra Print with Faux Silk Highlights Black Rug. It would look perfect in my daughter's room, which is painted two colors of purple with wide zebra print stripe as a separator about 3 feet up from the floor. I entered the SleepyHeads pajamas giveaway. I entered the SkinMD Natural Shielding Lotion giveaway. I entered the n-Fini giveaway. I entered the N-Fini Shape Shapewear Giveaway. I like the Brink And Campman Estella Oval 86307 Beige Rug. 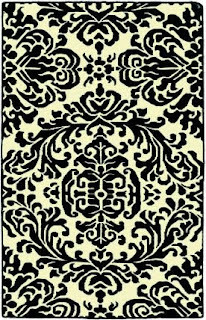 I love the damask one you posted a picture of. 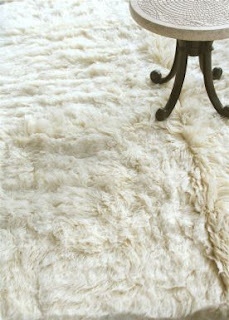 I like the Henan Prosper Shag Sexto Sheepskin Rug! It looks beyond soft! woo hoo! Crossing my fingers! i entered your pajama giveaway-sleepyheads.. Favorite Rug: Contemporary Handmade Circles Brown Rug for my family room!